To claim this profile, please confirm you are Victor De La Herron. To follow this profile, please let us know your relationship to Victor De La Herron. The Orange Vista varsity baseball team lost Wednesday's home conference game against Notre Dame (Riverside, CA) by a score of 3-2. The Orange Vista varsity baseball team won Tuesday's away conference game against Notre Dame (Riverside, CA) by a score of 8-5. The Orange Vista varsity baseball team won Friday's neutral tournament game against Santa Rosa Academy (Menifee, CA) by a score of 7-5. RESULTWin Varsity baseball vs. Perris. 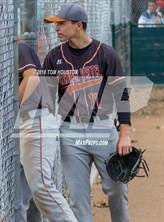 The Orange Vista varsity baseball team won Thursday's home conference game against Perris (CA) by a score of 6-1. RESULTWin Varsity baseball @ Perris. The Orange Vista varsity baseball team won Tuesday's away conference game against Perris (CA) by a score of 3-2. No result has been reported for the Orange Vista varsity baseball neutral tournament game vs. TBA. RESULTLoss Varsity baseball vs. Chaffey. The Orange Vista varsity baseball team lost Friday's neutral tournament game against Chaffey (Ontario, CA) by a score of 2-0. RESULTLoss Varsity baseball vs. Palm Desert. The Orange Vista varsity baseball team lost Wednesday's neutral tournament game against Palm Desert (CA) by a score of 13-1. The Orange Vista varsity baseball team lost Tuesday's home non-conference game against Vista del Lago (Moreno Valley, CA) by a score of 7-4. The Orange Vista varsity baseball team lost Monday's away tournament game against Temescal Canyon (Lake Elsinore, CA) by a score of 8-2. The Orange Vista varsity baseball team lost Saturday's neutral tournament game against Centennial (Corona, CA) by a score of 6-1. RESULTWin Varsity baseball vs. Rancho Verde. The Orange Vista varsity baseball team won Thursday's home conference game against Rancho Verde (Moreno Valley, CA) by a score of 2-0. RESULTWin Varsity baseball @ Rancho Verde. The Orange Vista varsity baseball team won Tuesday's away conference game against Rancho Verde (Moreno Valley, CA) by a score of 3-1. RESULTLoss Varsity baseball vs. Elsinore. The Orange Vista varsity baseball team lost Thursday's home conference game against Elsinore (Wildomar, CA) by a score of 7-4. RESULTLoss Varsity baseball @ Elsinore. The Orange Vista varsity baseball team lost Tuesday's away conference game against Elsinore (Wildomar, CA) by a score of 20-4. RESULTWin Varsity baseball vs. Elsinore. The Orange Vista varsity baseball team won Monday's home conference game against Elsinore (Wildomar, CA) by a score of 5-1. The Orange Vista varsity baseball team won Thursday's away conference game against Lakeside (Lake Elsinore, CA) by a score of 10-8. Victor's baseball stats have been updated for the win vs. Notre Dame.